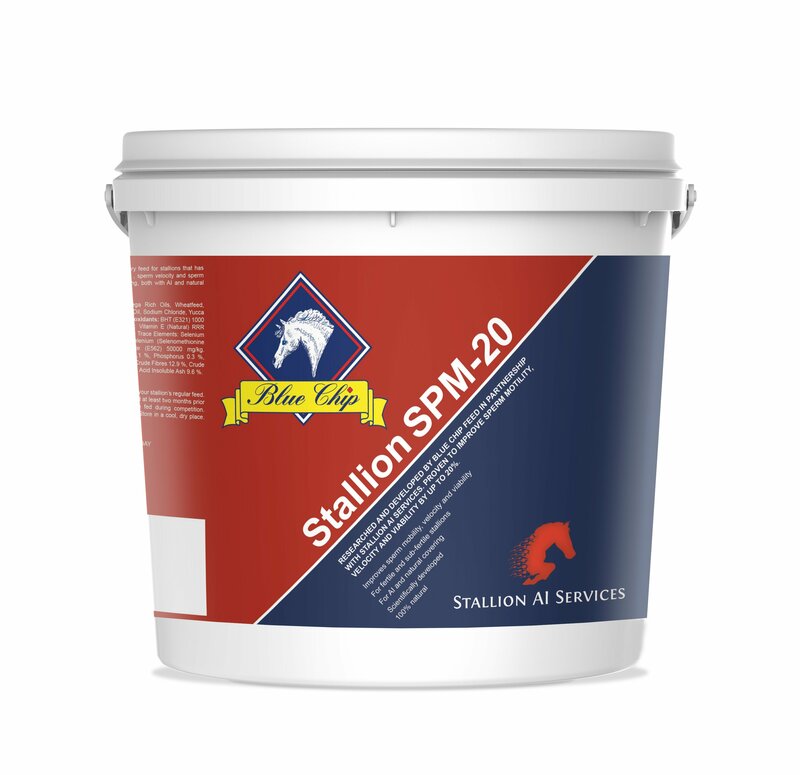 SPM-20, a daily feed supplement, can be fed to fertile stallions but is especially useful in ageing or sub-fertile stallions to improve sperm motility, sperm velocity and sperm viability from 20-33%. SPM-20 contains Organic Selenium, L-Carnitine, Nucleotides, Yucca and Antioxidants, which help the stallion’s sperm travel quickly through the mare’s reproductive tract, remaining strong with an intact membrane, to reach the egg (oocyte) for fertilization. SPM-20 is optimally fed all year round but is recommended at least 2 months before the breeding season begins. 1 tub lasts roughly 30 days.